Sometimes your pallet needs are unique and a custom pallet is the only answer for your needs. Fortunately, Reardon Pallet Company, Inc. is here to help! We are able to customize any pallet by working with your company to better understand your shipping needs. By working with your staff and shipping facility, we can create a cost-effective pallet for your business that will take your material handling system and your pallet needs into consideration. We use a state-of-the-art CAD (computer-aided design) program that is able to develop a plan to help us recommend design and cost recommendations, build to all of your specifications, and can make your pallet design cost-effective, even in the smallest of quantities. 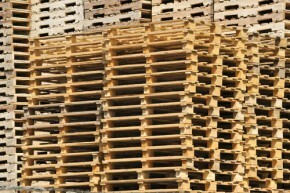 Give us a call at (816) 221-3300 so we can begin designing your custom pallets today!